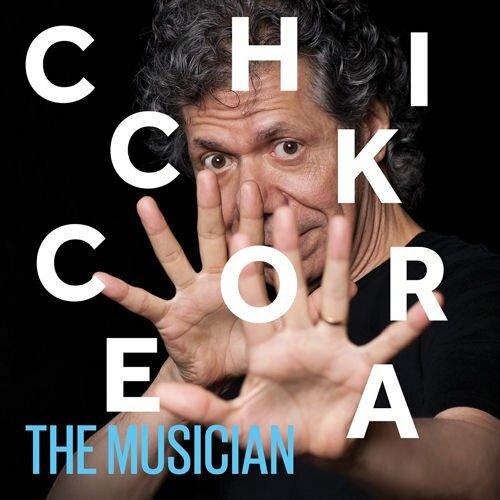 Chick Corea now in his fifth career decade, has remained one of the most vital improvisers and composers in all of jazz providing consistently engaging material. The 75 year old has not rested on his laurels and in recent years come up with fresh music for ensembles like Vigil, the John McLaughlin co lead, Five Peace Band, a substantial piano concerto “The Continents” (Deutsche Grammophon, 2012) and reunions with older ensembles like the pioneering jazz rock outfit Return to Forever, and the plugged in legacy continuing Elektric Band that have provided fresh looks at older material. He has also maintained fantastic trios with bassists Eddie Gomez, Christian McBride and drummer Brian Blade, touched base with old friends Steve Gadd, Roy Haynes, Gary Burton, Herbie Hancock and many others. Keep in mind this massive outpouring of activities has taken place in the last decade! The pianist and keyboardist has entered a career renaissance, releasing some of the very best music he has in years, and as last year’s six month residence at the Blue Note demonstrated, he shows no signs of slowing down. “The Musician” is a gorgeously packaged 4 disc deluxe box set consisting of 3 CD’s documenting his November 2011 70th birthday run at the Blue Note in New York, and blu ray documentary focusing on his life, and musical associations interspersed with footage of each band. The list of all star musicians that appear with Corea on the three discs of music is staggering, including vocalists Bobby McFerrin and Concha Buika, trumpeters Wallace Roney, and Wynton Marsalis, guitarists Frank Gambale, John McLaughlin, Nino Josele, saxophonists Kenny Garrett, Gary Bartz, Eric Marienthal, and drummers Lenny White, Brian Blade, Jack DeJohnette, Jeff Ballard and Dave Weckl among many more. Each disc is chockful of highlights, and contains three to four bands per CD and while it does seem like band whiplash, each group sequence makes perfect sense to the overall flow. The set takes its cue from 2003’s now out of print massive 10 DVD set “Rendezvous in New York” of which a 2 CD sampler distillation was released. “The Musician” makes more sense as an album, each group’s highlights being taken together as an overall mini set and p, and the performances are always exciting. The classic “Captain Marvel” starts the album with a bang and is re framed in the context of an acoustic Return to Forever group with the Elektric Band’s Frank Gambale, who appeared with RTF’s electric incarnation for their 2011 tour captured on “The Mothership Returns” (Eagle Rock Entertainment, 2012) replacing Al Dimeola. What’s fun and outstanding about this version is the fun and quicksilver interaction taking place between the quartet, Lenny White immediately responds rhythmically to the pianist in between the memorable melody, and then through Corea’s solo he keeps the pot boiling and wisely chooses his spots with snapping declarations. Gambale is the perfect combination of chops and restraint and demonstrates why he was a worthy replacement for Dimeola on RTF’s second tour following the 2008 reunion. Clarke is a wellspring of limber ideas, winding up his solo as he alsodoes on the sensually simmering “Light As A Feather” with his signature whirling dervish lick that always generates heat. White sounds beautiful on the streaming eighth note feel of Clarke’s first ever RTF composition, and his subtle Latin bass drum pattern brings a wonderful buoyancy, he smolders through some double time during the pianist’s solo, dismounting into sizzling swing. Return to Forever tunes such as these have appeared before in the past decade, but these versions brim with the vibrancy of new compositions and make for fascinating comparative listening next to Corea, Clarke and White’s offering “Forever” (Concord, 2011). Five Peace Band with John McLaughlin was a project that took many years to come to fruition. Indeed the two men were on the cusp of pioneering jazz-rock ensembles, and had a collaboration been realized at the time, it would have been nothing short of astonishing. However, when the duo released “Five Peace Band” (Concord, 2009) a 2 CD set of the band’s 2008 European tour with Kenny Garrett, bassist Christian McBride, and drummer Vinnie Colaiuta, it was worth the wait. Rather than being a purely testoterone fueled affair recalling their jazz-rock roots, the quintet deftly balanced the acoustic and electric concerns on new compositions and some chestnuts. The absolutely incredible playing of Brian Blade was a wonderful fit for the group, and he replaced Colaiuta on subsequent tour legs. That is the version of the band heard on disc 1, which also features John Pattitucci instead of McBride and the maturity of the ensemble from the initial album grew exponentially between the 2008 tour and the November, 2011 shows taped at the Blue Note. “Spirit Rides” a recent Corea composition, is enhanced by his on point Rhodes playing and also the fiery, eager McLaughlin. Corea’s own solo on acoustic piano is marvelous, paying homage to McCoy Tyner with his rumbling left hand fourths, and a fountain of invention in the right. Blade’s completely cliché free, organic comping and explosions during both the pianist and guitarist’s solos are something to behold. McLaughlin’s pretty waltz “Special Beings” highlights his own torrential solo as well as a signature slowly burning alto solo from Kenny Garrett. These two tunes are a standout of the three CD’s and are a welcome addition to the Five Peace Band’s lone album discography. Corea’s association with Miles Davis in 1969 is one that was fruitful for the pianist and in the midst of an incredibly creative period where he put forth some of his most forward, avant garde leaning music. The early to mid 60’s introduced him as a voice of note, first with percussionist Montego Joe, and then on several classic Blue Note sides with trumpeter Blue Mitchell, with his heralding achievement; the path breaking trio album “Now He Sings Now He Sobs” (Solid State, 1968). The recording with bassist Miroslav Vitous and Roy Haynes defined a new mode of thinking for the piano trio, and pianists in general, widening the harmonic landscape opened by Bill Evans, Herbie Hancock, Paul Bley and Bud Powell before him. The period with Miles Davis though was one that really opened the pianist’s vistas to electronics, but also sound as a canvas and improvising with a true fearlessness. On the second disc, he reconvenes with Davis alum Jack DeJohnette on drums along with fellow Miles alumnus Gary Bartz, trumpeter Wallace Roney, and Eddie Gomez on bass for searing interpretations of two classics from Miles’ cannon, the standard “If I Were A Bell” of its 22 minutes, and Wayne Shorter’s “Nefertiti”. Corea’s witty comping on the burning 22 minutes “If I Were A Bell” is a love letter to Miles of sorts, as the entire lineage of pianists in Miles’ acoustic ensembles is summoned, note the pianist’s sly nods to Wynton Kelly. Roney is transcendent, soaring above the rhythm section setting off a torrent of elated abandon from DeJohnette. Gary Bartz’ soprano dances in front of Corea, Gomez and DeJohnette, and the pianist’s solo is pure joy, his eight bar trades for several choruses with DeJohnette examines their long held rapport and penchant for pushing each other to greater heights. Versions of Shorter’s “Nefertiti”, played with solos, as the rendition is here boldly underlines the genius of the saxophonist’s composition played with the Davis quintet. It’s winding, snaking melody famously reversing the roles of front line and rhythm section, DeJohnette’s titanic fills between the melody statement, incredibly different from Tony Williams famous interjections, still maintains it’s near through composed character. Bartz’s moody alto solo leisurely takes off from portions of the melody, and group’s Spanish tinged interplay to the close is a perfect lead to the Flamenco Heart portion of disc 2, which ends the disc in a frenzy with a memorable take on Paco DeLucia’s “Zyryab” from his 1990 album of the same name and the tender “Mi Nina Lola” featuring Concha Buika’s earthy vocals. Flamenco Heart, is an offshoot of Corea’s in depth exploration of Spanish music that began with “Spain” on “Light As A Feather” (Polydor, 1972) and continued with the whimsical “My Spanish Heart” (Polydor, 1976) featuring multi reedist Jorge Pardo, bassist Carles Benavent (a holdover from “Touchstone”) guitarist, Nino Josele, and ex Origin and New Trio drummer Jeff Ballard. What really makes the album special though for the inspired level of the performances throughout are the duet performances, and the scintillating “Overture” with Gary Burton and the Harlem String Quartet reprised from the pair’s “Lyric Suite For Sextet” (ECM, 1982). The gorgeous classical meets jazz blend is enhanced by the warmth brought out by the strings, and Corea and Burton impress with chance taking solos, while Gayle Moran Corea’s ethereal voice graces the group for “Your Eyes Speak To Me”. Moran Corea’s classic trained and show tune honedvoice retains the stratospheric range that marked her appearance on classics by the pianist and Mahavishnu Orchestra, weathered a bit by a wider vibrato. Her voice works much better here, than in the context of a standard like “Someday My Prince Will Come” found on “Trilogy” (Stretch/Concord, 2013) because the moodier, rhapsodic nature of the composition suits the natural qualities of her voice much better. The rapport that the pianist has with Bobby McFerrin on “I’ve Got the World On The String” allows them to go just about anywhere, their comping for each other is terrific. McFerrin’s approximation of female vocals and emulating Liza Minelli’s vibrato is fun and hilarious, and the duo’s look at the well worn “Spain” adds interest through the way they atmospherically navigate the tune’s famous intro adapted from Rodrigo’s “Concerto de Aranjuez”. The piano duets with Marcus Roberts, with Wynton Marsalis guesting on a gut bucket “CC’S Birthday Blues” are a lesson in the history of the jazz tradition. Roberts’ style, whose single note lines recall that of the great Earl Hines are the perfect complement to Corea’s post modern fervor on “Caravan” and their interaction is that of a relaxed conversation. The duets with Herbie Hancock though are the centerpiece of the duos and a perfect new chapter to the two double albums they released in 1978 The three compositions chosen, the bebop anthem “Hot House”, and Hancock’s standards “Dolphin Dance” and “Cantaloupe Island” are a testament to both pianists harmonic and rhythmic subtleties and seemingly endless invention. Only does a fragment of the “Hot House” theme emerge mid run during one of Corea’s dizzying flights as the two men take improvisational liberties within the structure. “Dolphin Dance” rendered here as a beautiful impressionistic ballad, is at turns lyrical and heavily abstract due to Hancock’s detailed listening, following Corea like a laser, at points adding spiky rhythmic dissonance, or chunky ostinatos to the leader’s evocative explorations, and the piece moves a bit further outside from Hancock’s prodding. The Elektric Band’s renditions of “Ritual” from “Paint the World” (GRP, 1993) and “Silver Temple” from their 1986 debut close things on a high note and absolutely smoke their studio counterparts being double the length. As the Elektric Band is currently on a extended tour following their support behind “To the Stars”(Stretch/Concord, 2003) it begs for reconsideration of their output that due to the very era specific production, has been heavily criticized in some circles. The tracks here display that the original classic lineup have lost none of their intuitive telepathy, and ability to navigate through complicated unisons. The Pattitucci-Weckl hookup is as strong as ever on “Ritual”, and Eric Marienthal shows once again just how good of a player he is, something not always evident on his own solo releases. Corea’s Rhodes playing on “Silver Temple” is sublime, and adds a considerably different color than the studio version featuring the lighter textures from his MIDI'ed Rhodes. The documentary portion is a lot more of a true documentary than the one that accompanied the “Rendezvous in New York” DVD set, which primarily summarized each set in that package. Corea’s anecdotes about his time with Miles Davis, and the first Return To Forever album on ECM are particularly interesting, as is Jack DeJohnette’s detailed account (accompanied by rare footage) of the time he and Corea played dual drums in Davis’ band, an aspect not documented on any official recording. Much of the performance footage does not duplicate the renditions heard on each of the three CD’s, but it does leave one wishing that extended unedited performance clips were available as an extra on the blu ray, particularly of the trio with Gary Peacock and Brian Blade, the For Miles, Five Peace and Elektric ensembles. “The Musician” beautifully packaged in a hard bound book, featuring an essay by Monk biographer Robin D.G. Kelley, and great photos of each of the ten bands is an invigorating, often times breath taking summation of the pianist’s entire career. Though the title of the set may lead one to believe it is a box set retrospective of studio recordings, these three and a half hours of live recordings in November 2011 render many Corea classics afresh, and one hopes that a similar set memorializing his 75th birthday festivities is on the way soon. Even long time fans of Corea who own a large portion of his output will be unable to resist picking this one up, ranking right up there with “Trilogy”, and “Two” (Stretch/Concord, 2015) as far as recent releases.